The ICT for Education national conference programme reaches Newbury on 04 December 2015 at Newbury Racecourse. Meet the experts, network with peers, solve practical problems and discover new resources in just one short day - free of charge! Pick up your conference badge(s) from Reception on the day. If you would like to bring colleagues, they can register before the event or on arrival. We look forward to meeting you in Newbury. Reflecting on one year of the new Computing curriculum in England, Tom will talk about the challenges and opportunities ahead, particularly around balancing computer science, IT and digital competencies, and the broad application of computational thinking and problem solving skills. In a recent Computing At School survey, hundreds of teachers listed the challenges they face teaching Computing in their schools. Alan, a Computing At School Master Teacher, will describe and demonstrate five popular strategies that teachers can use to overcome the challenges. The presentation will be particularly useful for teachers in Key Stage 1 and Key Stage 2, but the basic principles can be applied to older pupils as well. Samantha will discuss how the curriculum has changed and been developed since she arrived at Waldegrave School, and show how she has embodied IT, digital literacy and Computing at KS3 and GCSE. Her aim is to balance the curriculum at KS3 and give students a programme of study that will lead to choosing IT or computing at KS4. Natalie will discuss how Apps for Good teachers are helping students gain the knowledge, skills and confidence to become innovators and entrepreneurs. She will also describe how teachers are helping students develop the wider thinking and employability skills they will need after leaving school, and consider the benefits this offers not just to students, but also to teachers and the wider school community. Tom is a senior lecturer in Computing Science and director of undergraduate studies at Cardiff Metropolitan University. He is the Nesta Data Science Fellow, a 2014 Fellow of the Software Sustainability Institute and a 2014 HEA National Teaching Fellow for his work in computer science education. In 2013, Tom chaired the Welsh Government’s review of the ICT curriculum and is currently leading the development of a new cross-curricula digital competence framework. He currently sits on the UK Forum for Computing Education (led by the Royal Academy of Engineering), the Welsh Government's National Digital Learning Council, as well as the National Assembly for Wales Cross-Party Group on Science & Technology. More recently, he has been part of the UK Digital Skills Task Force, to identify practical solutions to enable UK industry to meet the digital skills gap and has previously advised the Office of the Chief Scientific Adviser and Science Advisory Council for Wales. He is a trustee of BCS, The Chartered Institute for IT and the British Science Association, and sits on the board of directors of the Campaign for Science & Engineering, the leading independent advocate for science and engineering in the UK. 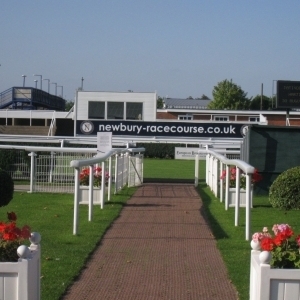 Newbury Racecourse in Berkshire is conveniently situated in the centre of the South of England, easily accessible from Junctions 12 and 13 of the M4, from the M3 and A34. The Racecourse has its own railway station with full details on available services below. The racecourse is clearly signposted and just minutes from Junctions 12 and 13 of the M4, also easily accessible from the M3. The course is clearly signposted from the M4 and from the A34 South of Newbury. There is ample FREE on-the-day parking. Car Park 1, Centre of the Course - Premier Enclosure customers, Members, Hospitality customers and Sponsors. Car Park 2 - Owners & Trainers, Jockeys, Officials and Media. Car Park 4, Grandstand - Grandstand Enclosure customers Coaches, Limousines and Minibuses - there will be an allocated section for Premier Customers & Members who wish to park in this car park. Note: If you are unsure of where to park, please ask one of our car parking attendants who will direct you to the correct area.